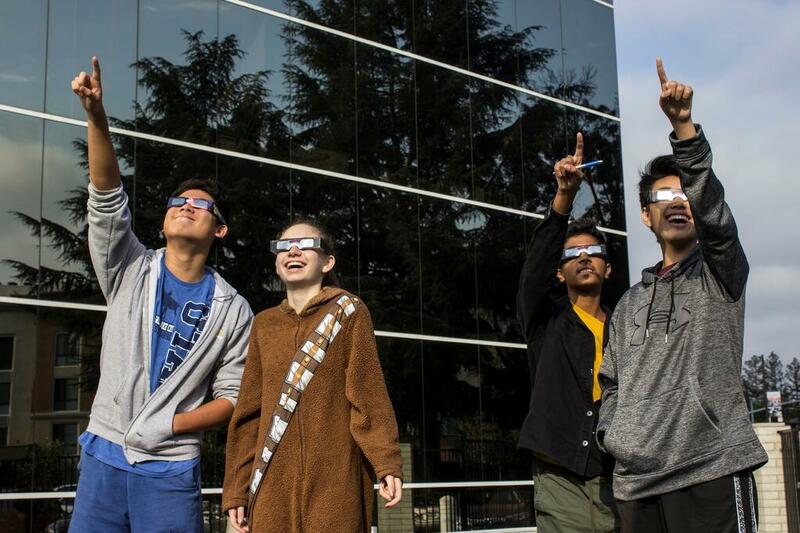 The importance and general excitement of the most recent Solar Eclipse was certainly not lost on the faculty and students at BASIS Independent Silicon Valley. 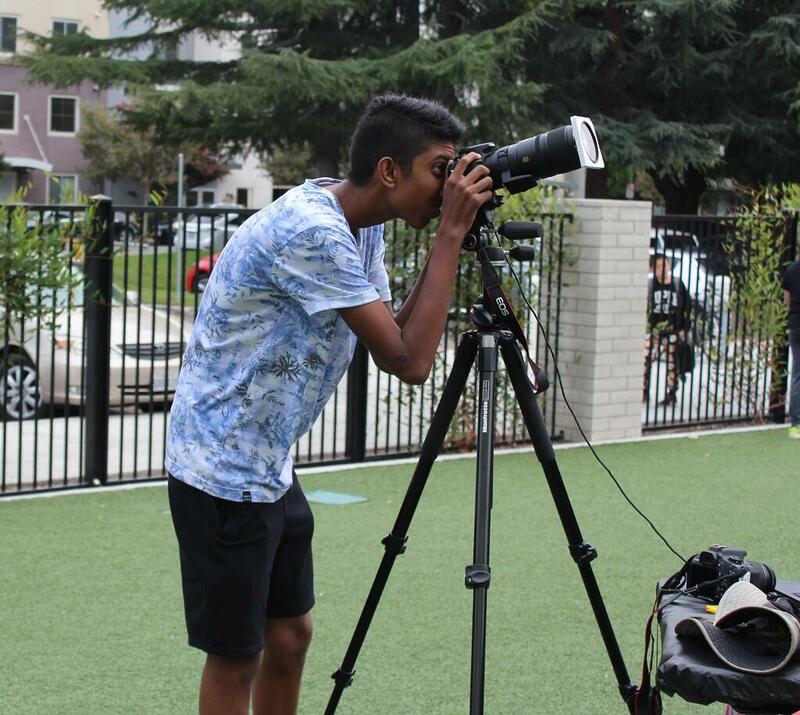 Hoping to document some memorable photographs for the BISV population, the photography, physics, and astronomy departments collaborated to arrange quite the experience. 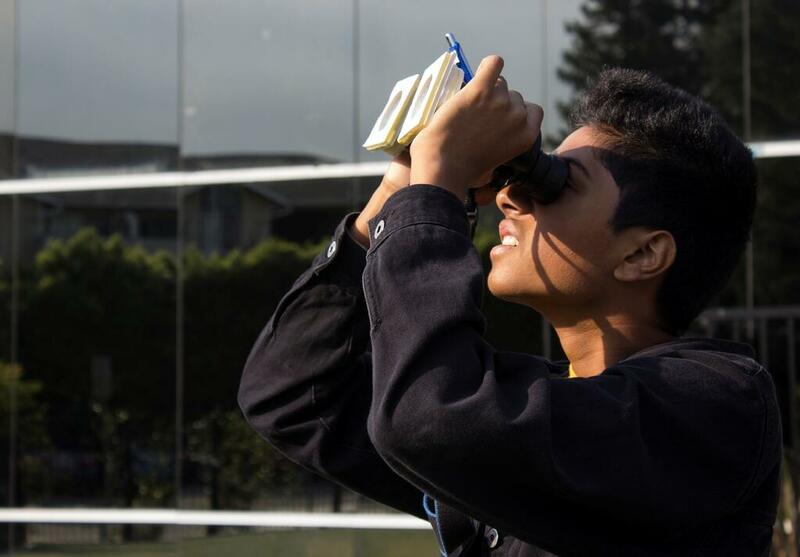 BISV Students were given the opportunity to observe the event in real-time using a variety of methods ranging from pinhole projection to solar eyeglasses, binoculars and telescopes equipped with high quality solar filters. In addition, two cameras were set up to automatically photograph the event in the hopes of yielding memorable images of the sun at different stages of its occultation. 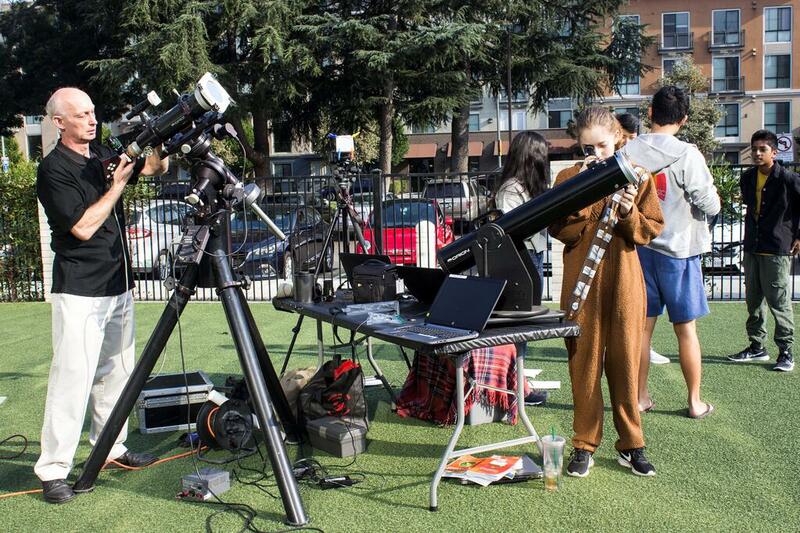 Ms. Myers and her photography students took a great deal of photographs of the telescope and equipment set up before the eclipse began, and continued on during the entirety of the eclipse itself. All departments enjoyed working together during this momentous occurrence. Dr. Huet put together a video of video stills captured throughout various stages of the eclipse. A remarkable viewing of the 2017 Solar Eclipse was generated indeed.